Candy making fuels the American economy to great effect, according to a new report released today by the National Confectioners Association. U.S. Senator Kelly Ayotte (R-NH) and U.S. Representative Steny Hoyer (D-MD) joined industry leaders at The Newseum in Washington, D.C., to unveil the new economic impact data. 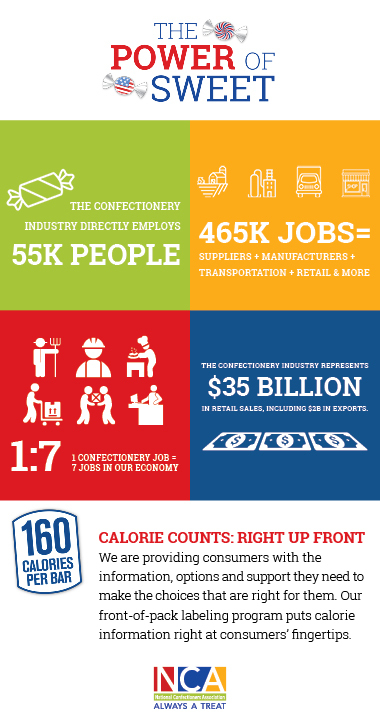 The confectionery industry directly employs 55,000 people in the United States, and more than 400,000 jobs in agriculture, retail, transportation and other industries rely in part on the sale of confections for their livelihood. For every job that is created in confectionery another seven are supported in related industries, which means that candy drives a multiplier effect of 1:7 or an impact of 700 percent. The candy industry is comprised of hundreds of small and medium-size, family-owned businesses as well as the multi-national companies with global brands that operate more than 1,000 manufacturing facilities in all 50 states. This week, confectionery industry leaders from across the country are in Washington to share this new economic impact data with Members of Congress, government officials and other stakeholders. Executives from top confectionery companies are advocating for a policy and regulatory environment that will foster business growth and unlock more potential for job creation. The confectionery industry is doing its part to help address the ongoing conversation about food and nutrition policy, wellness and food safety. NCA member companies are providing consumers with the information, options and support they need to make the choices that are right for them. NCA’s front-of-pack labeling program puts calorie information right at consumers’ fingertips. 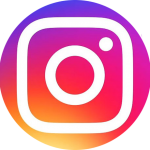 Candy companies also make a wide variety of options – available in packages ranging from fun size to share size – that can bring a little sweetness to any occasion. America’s leading candy companies are committed to marketing their products responsibly. Companies representing the majority of the industry and its products have joined the Children’s Food and Beverage Advertising Initiative, including The Hershey Company, Mars, Inc., Nestlé USA, Mondelez International, Inc., Ferrero USA, Inc., and American Licorice Company. Most of the candy on store shelves today is made by companies that do not advertise on children’s programming. Confectioners are vital to the economic success of our communities, as they have been manufacturing some of the world’s most iconic brands for decades. Engaging in sustainability programs, NCA member companies are working hard to ensure that every stakeholder in the entire value and supply chain wins – from farmers to retail customers. Through transparency efforts, responsible marketing practices, corporate responsibility and sustainability efforts, candy companies are providing consumers great tasting products and the value and choices they deserve. The impact of this strong, thriving, innovative industry echoes across the country, where these companies are making one of life’s little pleasures.